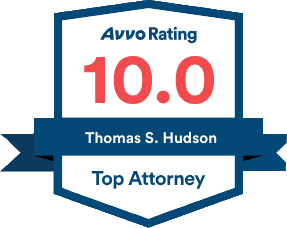 The Hudson Law Office realizes that the Rule of Law is a precious thing, and that it can only survive if those responsible for the system act with integrity. Today's clients benefit from the short-cuts that we didn't take yesterday. We strive to handle every case with the determination and energy which we would want expended if it were our own future which hung in the balance. No one can expend the sustained effort which our mission requires unless he enjoys what he is doing. We strive to work together so that all members of our organization can experience the satisfaction of working on a team to accomplish important things. It is our goal to help each other and to create an atmosphere where every member of the team experiences growth and satisfaction, while advancing the highest ideals of the legal profession.